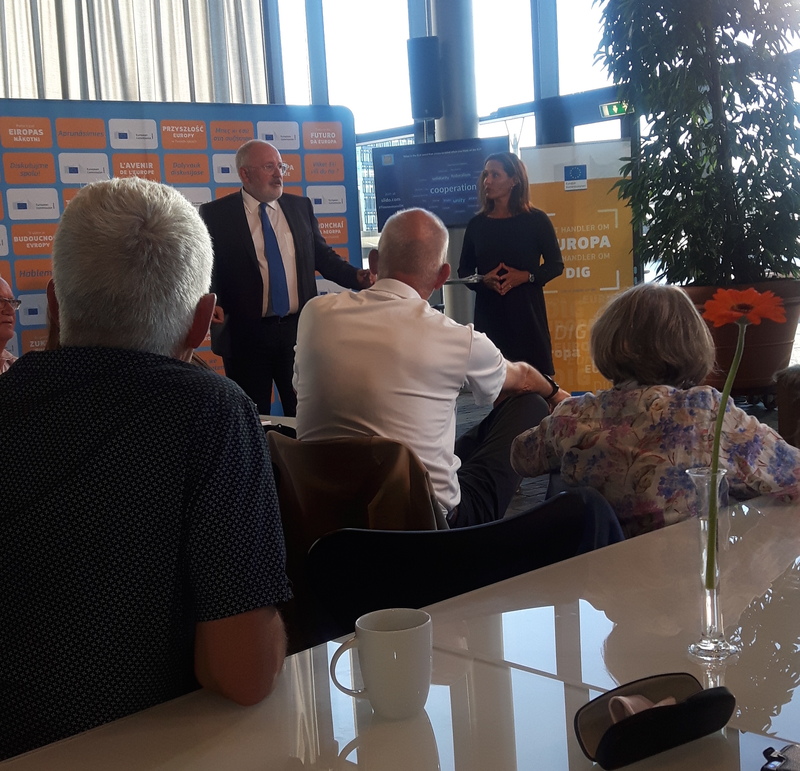 The former Dutch Minister of Foreign Affairs, today Vice-President in the EU Commission, visited Denmark yesterday as part of the Citizens´Dialogue meetings. Taking questions from the audience he spoke about Europe of today, the problem she faces, also looking towards the future. “Caring and sharing” were his key words when tackling a complicated world – a very charismatic spokesperson for the EU. With extensive knowledge of the EU and global issues he addressed questions of immigration, the labour market, the rule of law, which countries like Poland and Hungary don´t live up to at present, the role of young people and much more. His presentation was introduced by Lizette Risgaard, chair of LO, who was the host of the day with the European Commission/DK in the beautiful LO building. IUC´s Nina Nørgaard took part in the interesting meeting. Click the link to the live-stream video from the dialogue with Frans Timmermans. This time we are voting!